Hello everyone. Yes I know, updates have been lacking so far this year. 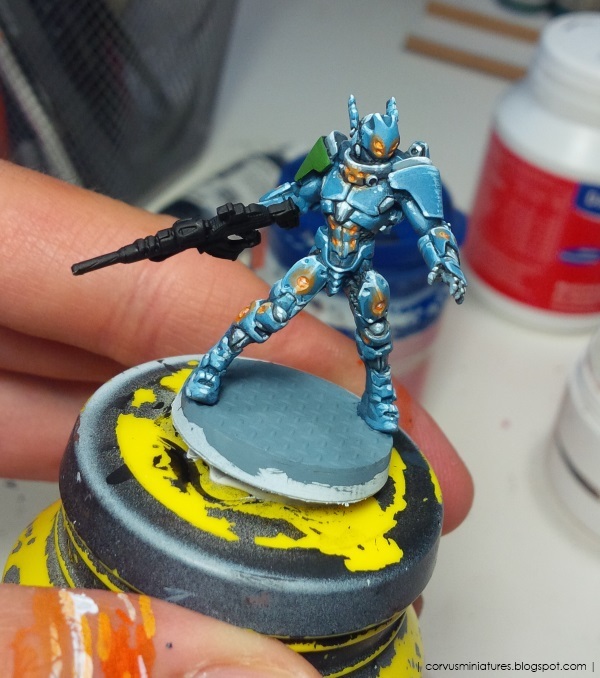 It's almost June and only one post so far (Painting Crusade report). 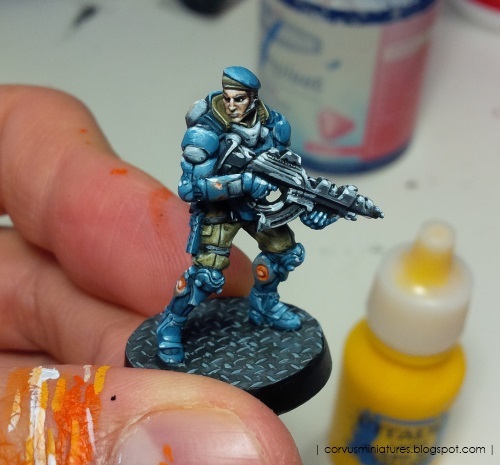 But it's not the first time this blog has gone quiet for a few months, it usually goes hand in hand with painting motivation, which comes and goes. 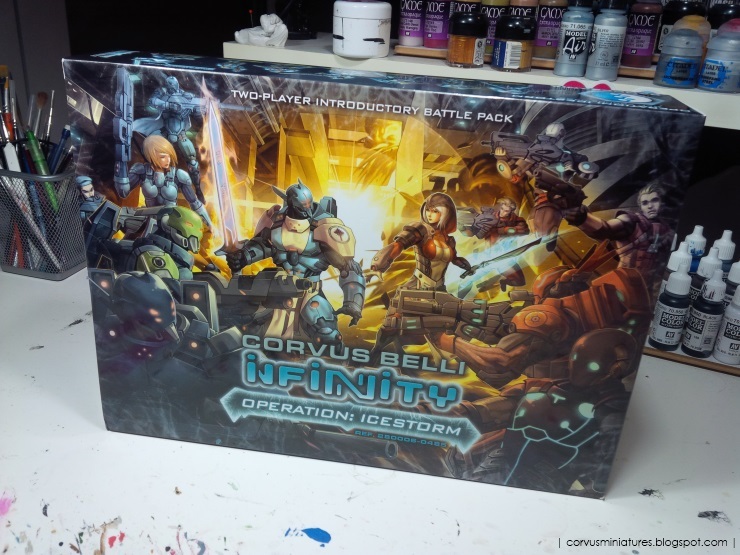 Anyway a few months back I bought the Infinity starter box Operation Icestorm, on which I am now slowly working. Starting with the PanOceania forces. As usual with this kind of projects I'm going for a good gaming standard, focusing on contrast rather than smoothness. But the sculpts are amazing, so that really helps.